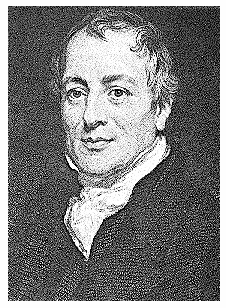 David Ricardo was a British economist. At fourteen he entered his father’s business, but in 1793 he set up on his own and made a fortune on the Stock Exchange. 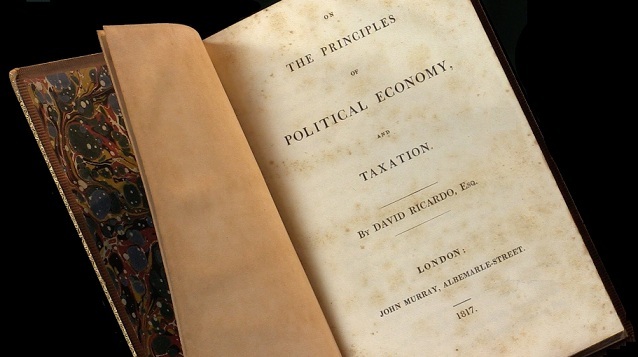 Ricardo’s most important work was Principles of Political Economy and Taxation (1817). This book deals with all the controversial questions of political economy at the time: value theory, economic growth, rent etc. His other works include The High Price of Bullion (1810), Essay on the Influence of a low price of corn on the Profits of Stock (1815). Proposals for an Economical and Secure currency (1816), and the Plan for a National Bank (1824). Ricardo is most famous for his ‘Theory of Comparative Advantage’ and of ‘Rent.’ the former states that countries will be better off if they specialize in producing goods where they have a comparative advantage. Why grow lettuce in the desert where it will cost $10 per head when you can import it for 75 cents? The resources of a nation are best spent in its productive capacity that is efficient. It is the consumer that must subsidize the more expensive product. Hence, you may save a job, but at the expense of everyone else lowering their disposable income by reducing the standard of living. He defines rent on land as being the surplus over the costs of production. Ricardo had a profound influence on his time. His theories provided a rationale for the repeal of the Corn Law in 1846 since he argued that high corn prices could lead to a reduction in economic growth. He also influenced many social thinkers, including Marx, whose labor theory of value is similar in many respects to that of Ricardo.